Can we PLEASE have degrees above freezing? My goodness I am shivering as I type this. Now, I am in shorts and a t-shirt, but hey, I don’t like winter! I told Jeff I was going to call my Grandparents and H and I were going to fly to Florida and visit for a few weeks. I’m sure they wouldn’t mind! 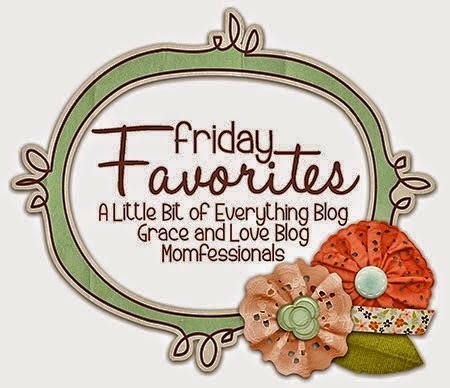 Enough of the cold – let’s get on with my Friday Five! 1) At what age to kiddos not mind wearing shoes? I have all these cute shoes for Miss H and she never wears them! Thursday we had lunch with an old co-worker and I had these cuties to put on and they didn’t fit! So to the BST boards they go! They have a bigger size, looks like I’ll need to track them down! 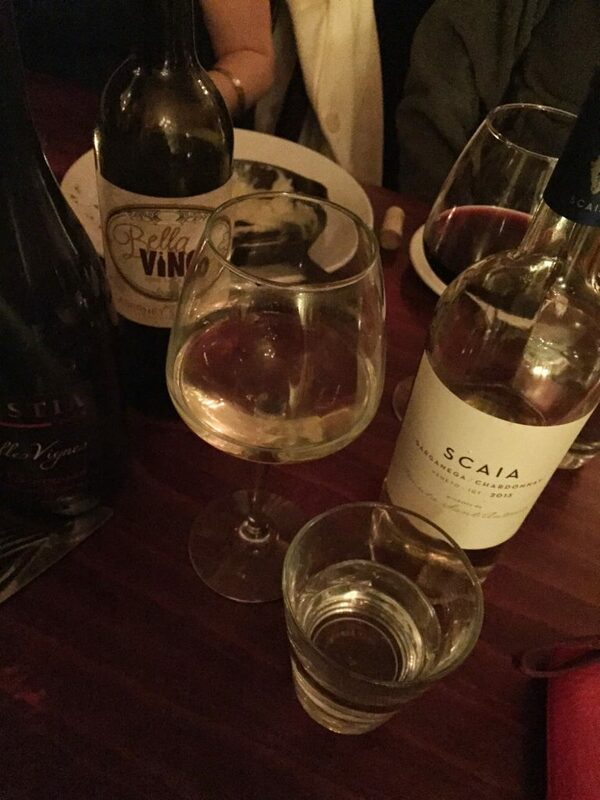 2) Girls Night – Wednesday Night was National Drink Wine Day – Of course we had to partake, right? We opted to try a new location – Bella Vino. It was half price bottles (yes, please) and if you didn’t finish the bottle, you could just cork it and bring it on home. Okay – sold! I ended up with a white blend that was super yummy. I wear my gal pals are trying to convert me to a red drinker. I just think it tastes like I’m licking a tree! 3) New Recipe Alert! – I put SOS out on the local Mom Board asking for dinner idea with a lb. of ground beef. I’m always making meatloaf, meatballs, tacos, spaghetti that I wanted something different. 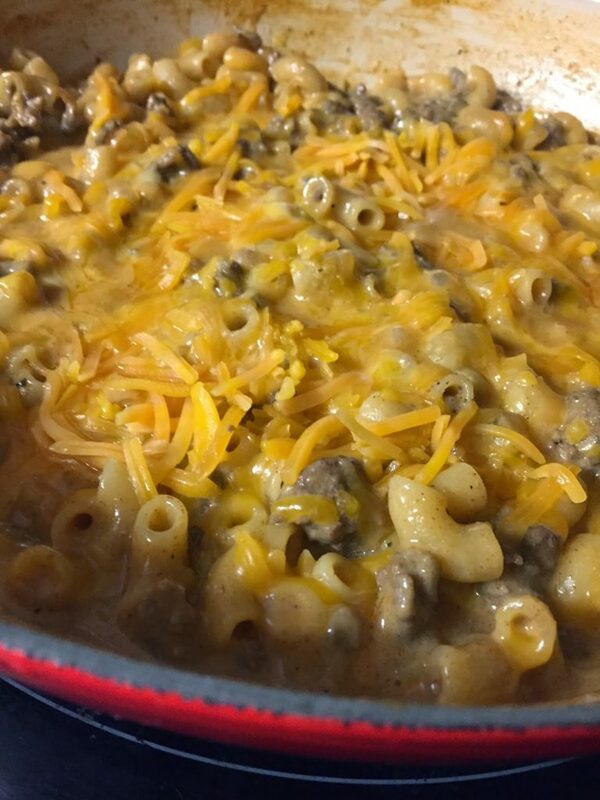 Everyone had great ideas, but I ended up finding this Cheeseburger Casserole that was pretty darn good on Pinterest. Just needs a hair more salt, but we’ll definitely be making this one pot wonder again! 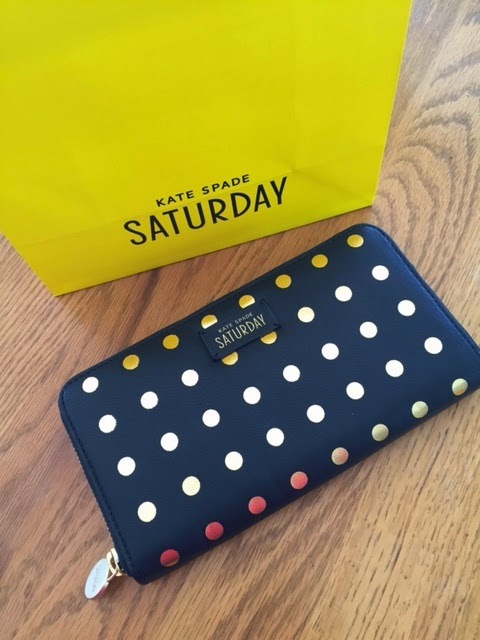 4) Kate Spade Saturday Outlet officially opened last weekend! Great deals to be had. I finally treated myself to a new wallet. I have had the same original Kate Spade wallet since my junior year of college. Yea, like 10ish years there. I like it, I may still love my original one better. This one has a zipper though. We’ll see. Prices were right! 5) 3 Day Weekend! Miss H and I were invited to a really fun event at the St. Louis Zoo on Monday to learn all about the early childhood programs. Hubs was a sad panda that I was taking her to the zoo without him, so he took the day off and is going with us! Yay! I’m super excited. I’m not sure what the weather is going to be, but we may just have to bundle up and go see the elephants!